With about two years of construction still to go, many people have yet to make up their minds about “Avatar Land.” Will it be a huge hit, or an unnecessary expansion? Is this what guests want to see, or could the money and resources have been better spent elsewhere? It’s hard to say just yet, but let’s look at some of the pros and cons. 1. Avatar came out in 2009. Sure, it was (and still is) the highest-grossing movie ever. But so what? It was a huge phenomenon that has since faded from the pop culture radar. Director James Cameron’s proposed sequels have been delayed, postponed, and then delayed again (the franchise’s second installment is currently slated for 2017… 8 years after the original). 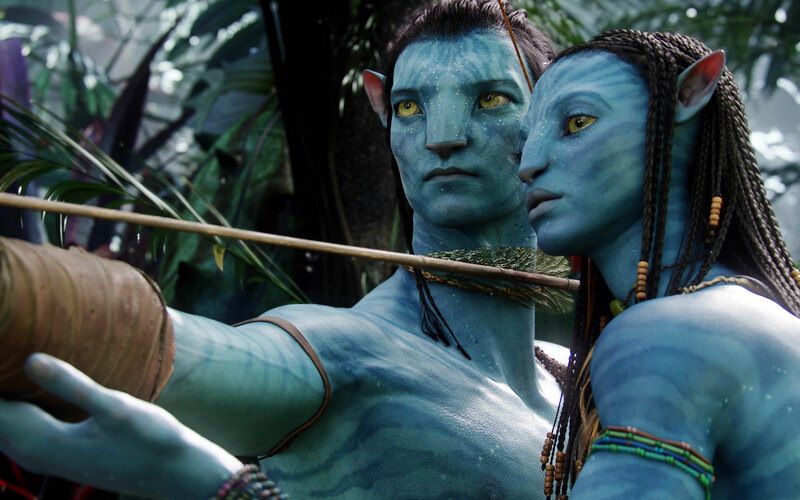 The reality here is that Avatar was fun in the moment, but is now just another blockbuster. Incorporating it into the Disney Parks just doesn’t feel relevant anymore. 2. Pandora doesn’t necessarily fit into the theme of Animal Kingdom. A fictionalized land located on the surface of a far-off moon, Pandora is all about the make believe. Its creatures are larger than life and it is home to blue-skinned humanoids. Animal Kingdom, on the other hand, is all about connecting us with our animal kin; it features up close and personal encounters with real animals and lets us explore the nature all around us. How will Avatar Land fit in? 3. Nighttime shows might disturb the animals. I’m all for Animal Kingdom expanding its hours and holding nighttime shows, but the reason for not doing this in the first place was to protect the animals that reside on the savanna. There aren’t many details about the “Rivers of Light” show yet, and so the safety of the animals remains a concern for many Disney fans. 1. The proposal sounds awesome. It’s impossible to tell until we can actually see the thing, of course, but from what we’ve heard so far, Avatar Land has the potential to be an incredible addition to the park. A 3-D flight simulator a-la Soarin’? A winding river boat ride through Pandora? Glow-in-the-dark plants and bio-luminescent pathways? Floating mountains? I’m in. 2. Including Pandora expands on the original premise of Animal Kingdom. Ever heard of Beastly Kingdom? It was a proposed pavilion in Animal Kingdom’s early stages, a land that would represent dragons and unicorns and all things fantasy, and connect them to the animals that we know today. The idea was scrapped and Camp Minnie-Mickey was produced instead, but doesn’t Pandora seem to fit in perfectly with this premise? The characters and creatures of Avatar are mythical, magical, and most certainly beastly. I think it’ll be a good fit. 3. Animal Kingdom can currently be done and over with in just half a day. Whenever I plan a trip, we pretty much dedicate only one morning to Animal Kingdom. We hit the Early Magic Hours, stay through lunch, and then head off to a different park that has more things to do. Expanding Animal Kingdom’s hours and including a nighttime show is a great idea that will give guests a whole new way to explore the park. Something like this has been long overdue, and judging by the concept art, “Rivers of Light” is going to be amazing (as long as it doesn’t bother any animals). 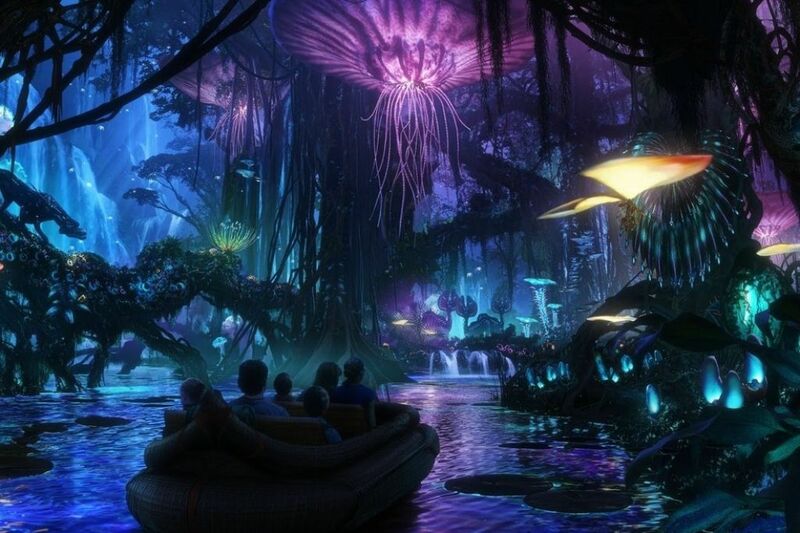 We’ll have to see how things progress, but right now, I’m totally in for Avatar Land. I don’t care so much about the actual film mythology (I’ve actually never seen the movie, whoops), but I really like the concept and I dig the idea of a glow-in-the-dark Tree of Life. What do you guys think? – The new land will be built in the former area of Camp Minnie-Mickey. Character greeting spots previously held here have been moved to Discovery Island or discontinued completely. Festival of the Lion King has been relocated as well. – Imagineers have been working closely with James Cameron, director of the franchise, to make the pavilion appear as close as possible to the world developed in the movie. – The expansion will see new hours coming to Animal Kingdom; the park is expected to stay open later at night to accommodate evening shows and glow-in-the-dark attractions. – Avatar Land will be designed as a “walk-through attraction,” with amazing sights and sounds at every turn; this currently includes floating “Hallelujah Mountains,” as well as bio-luminescent and interactive plants. – Two main rides are assumed so far: a boat tour through Pandora and a 3-D flying ride similar to Soarin’. The boat ride is expected to be (at least in part) housed in a dark, indoor showroom (concept art pictured above). The flying ride will be similarly constructed, and will allow guests to ride on enormous flying beasts called ‘Banshees’ as they take an aerial tour of Pandora. – The pavilion will include several themed restaurants and gift shops. – Some suggest that the Tree of Life will be getting a glow-in-the-dark makeover to tie the park’s landmark back to Pandora. 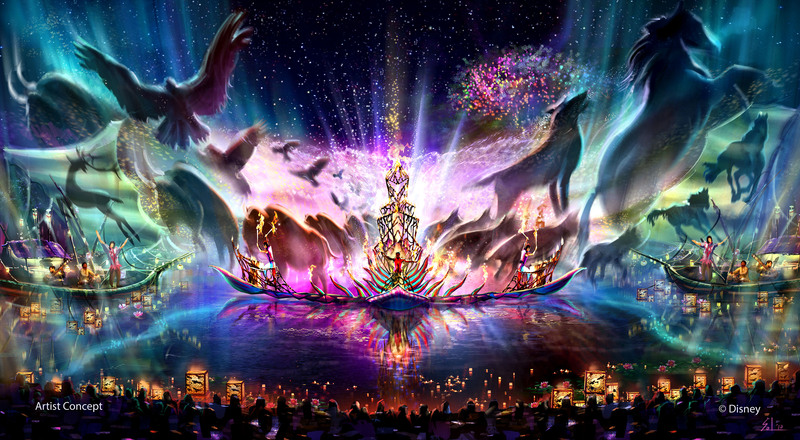 – Reports indicate that a new nighttime show called “Rivers of Light” will be taking place along Discovery River, and will feature live music, floating lanterns, water screens, and swirling animal imagery. WDW’s park dedicated to the golden age of film is most recognized by its iconic Sorcerer’s Hat, but the famous monument is currently being deconstructed and removed from the park. You can now see directly down the street to the replica of the Chinese Theater. Disney also announced that the park will soon be getting a new name. It’s not the first time—Hollywood Studios was formerly known as MGM. No word yet on what the park will be called. 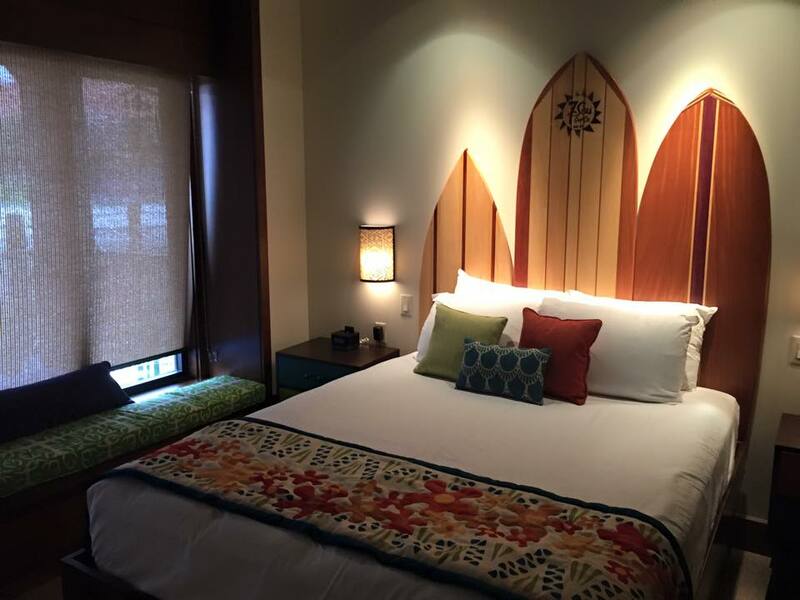 Opening on April 1st, the Bora Bora Bungalows are newly renovated complexes available to members of the Disney Vacation Club. 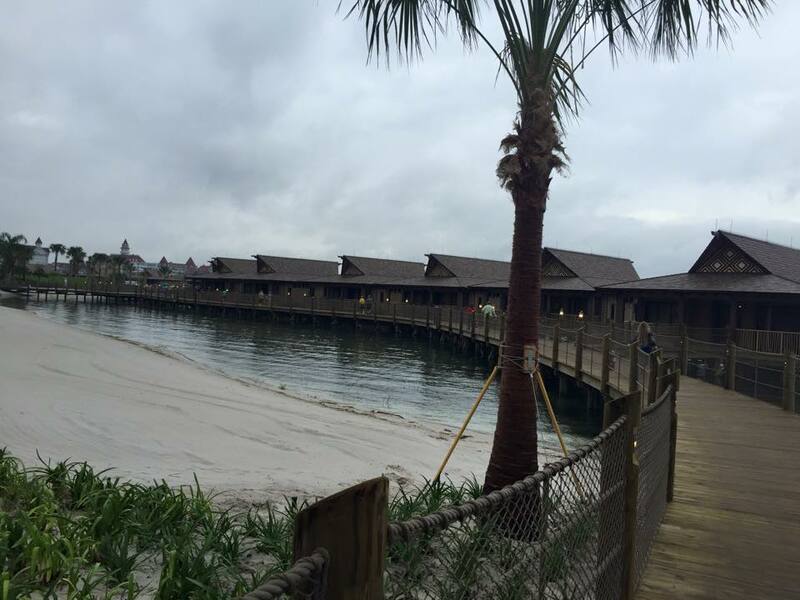 The expansion was built on stilts and wooden decks and sit just above the Seven Seas Lagoon. Each unit has a private deck where guests can watch the fireworks and listen to the accompanying music on private sound systems. Sounds like a sweet deal! 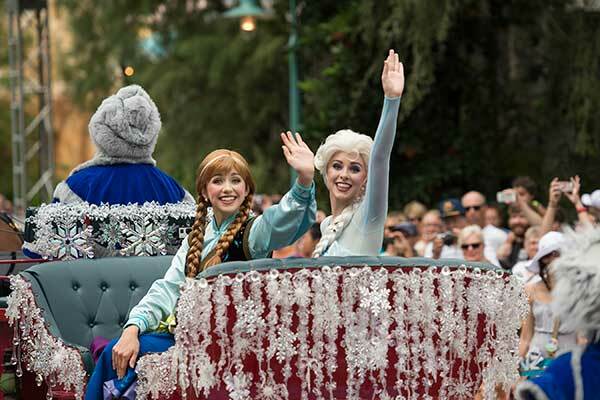 Hollywood Studios has added several events and attractions based around its hit animation feature, Frozen. After a successful run last summer, the Frozen attractions will return this June. They include a “royal welcome” parade, a sing-along at the Hyperion Theater (former home of the American Idol attraction), a special show hosted by Olaf, and a fireworks display to end the night. Some other quick updates—Be Our Guest in Magic Kingdom is now serving breakfast, and Animal Kingdom is under construction in preparation for Avatarland, coming in 2017. Images courtesy of wdwinfo.com and wdwmagic.com. 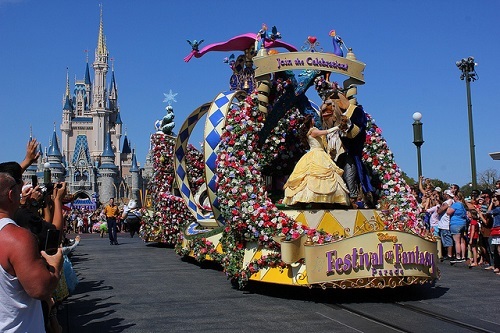 On Sunday, March 9th, 2014, Disney World debuted its highly anticipated Festival of Fantasy Parade. The procession can be found in Magic Kingdom every afternoon, and is designed as a tribute to the newly-renovated Fantasyland. Young ones will enjoy seeing all their favorite characters (Belle & Beast, Peter Pan & Tinkerbell, Rapunzel & Flynn Rider, and even Elsa & Anna!) on spectacularly decorated floats. Make sure you stick around to see the parade’s biggest spectacle: Maleficent as a metal, fire-breathing dragon. Want a sneak peek? Check out a video of the full parade courtesy of allears.net.